The 2015 Elite Quads insert set are inserted at a ratio of 1 per 72 packs (3 boxes) on average. 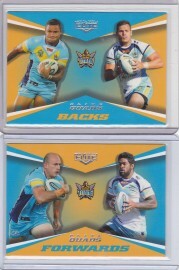 This is a 32 card chase set with two cards available for each team, the cards highlight the forwards and backs from that team, they are numbered to 65. 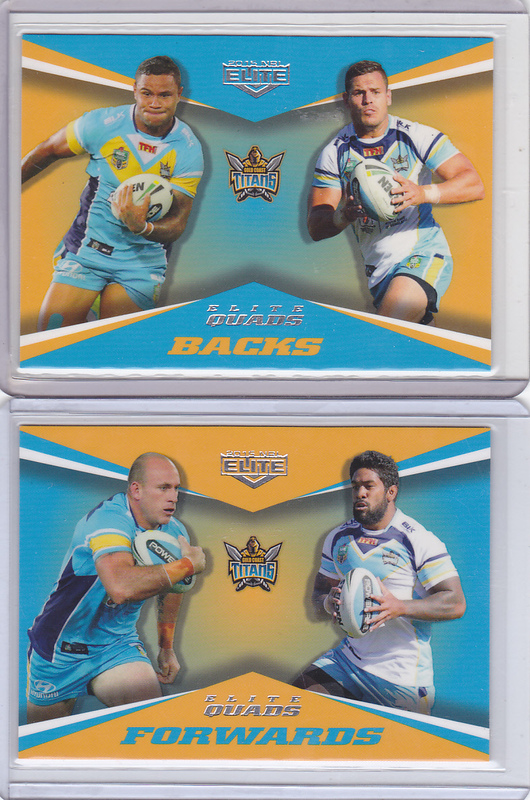 This pair of cards are the Gold Coast Titans Quads pair and what a pair they are, both numbered 47/65, there is nothing better than have a matched pair of numbers in your PC.